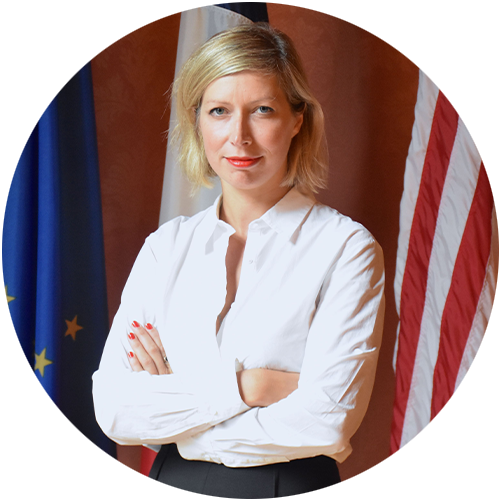 Anne-Claire Legendre took up her position of Consul General of France in New York on August 29, 2016. She is the first woman to hold this position. As Consul General, Ms. Legendre is in charge of promoting France’s influence and interests across the tri-state area of New York, Connecticut, and New Jersey, as well as Bermuda. She serves a community of 80,000 French citizens, whose vitality actively contributes to the visibility of France in the United States. A native of Brittany, Anne-Claire Legendre graduated from the Institut d’Etudes Politiques in Paris, and holds degrees from Institut National des Langues et Civilisations Orientales (in Arabic) and the University of Sorbonne-Nouvelle in Paris (in modern languages and literature). Anne-Claire Legendre previously served at the French embassy in Yemen in 2005-2006, before joining the Direction of the French Abroad at the Ministry of Foreign Affairs, where she contributed to the development of consular cooperation between member states from the European Union.